Happy Mother’s Day! 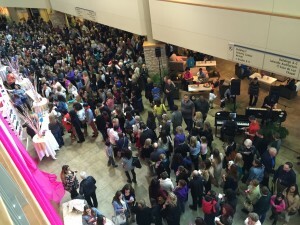 Celebrate with Dueling Pianos! 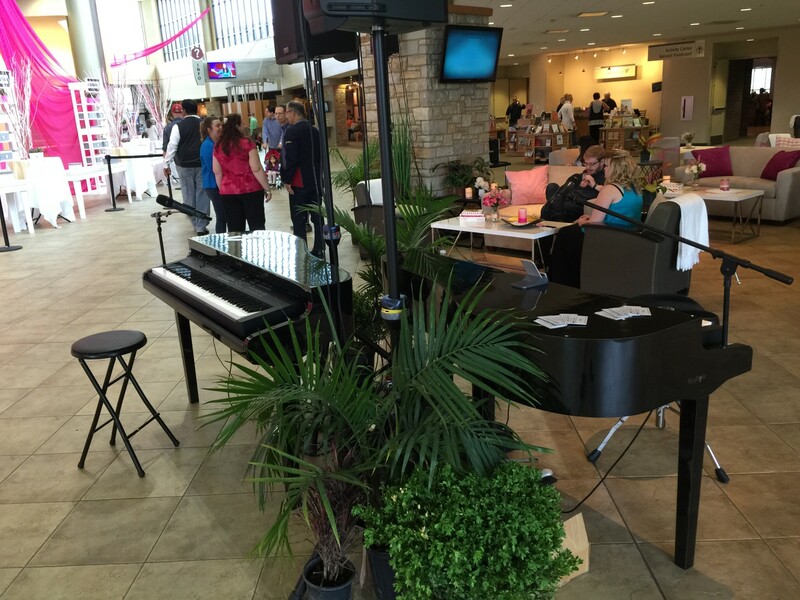 Mother’s Day Celebration Brings Music to Moms! 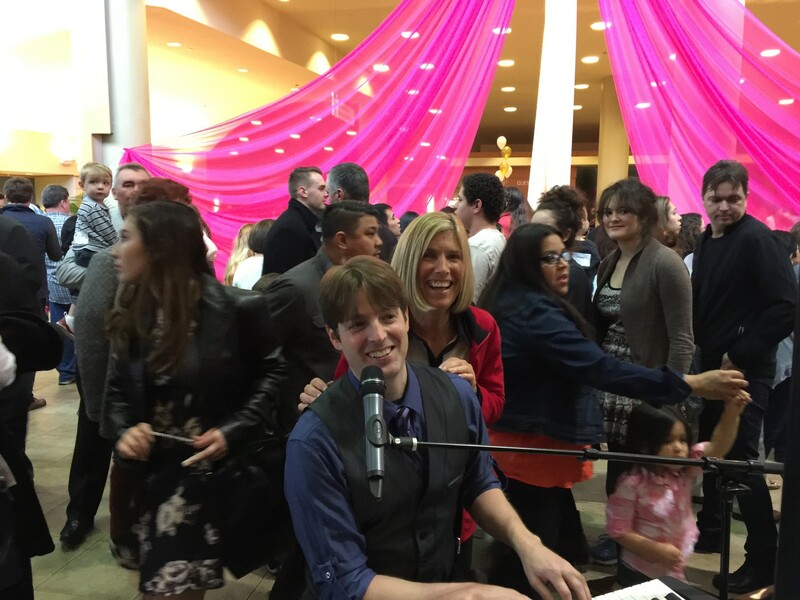 Felix and Fingers recently had a great show (err…shows) at Willow Creek Community Church to celebrate all things feminine, with an epic Mother’s Day celebration! We were brought in to play after each of their weekend services on Mother’s Day weekend. 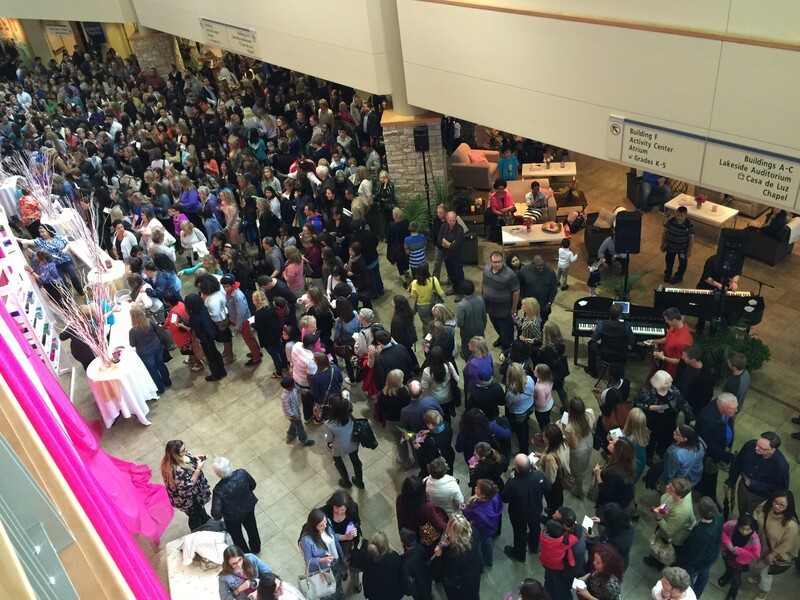 Each service hosts thousands of people, so with the three shows combined, it was definitely one of our biggest audiences ever! We set up in the lobby of the church so when everyone walked out after the service, we were already singing and playing and ready to entertain! There are so many awesome mom songs out there, so in preparing for this show and other Mother’s Day shows, we discussed the best “Mom” songs so we’d be prepared for the show. “Bohemian Rhapsody” by Queen is a great one! Imagine thousands of people singing “Mama!!!!! !” at the top of their lungs! What could be a better tribute to the women who raised us? Such great lyrics! “Mama!!!! Just killed a man! Put a gun against….” Oh… umm. OK, so let’s nix that one. It had such potential. Alright, back to the drawing board. Let’s see what google has to say about it. Hmm. There’s a song called “Motherlover” by Lonely Island. That has to be a great mom song. Allow me to listen to it quickly. In all seriousness, there are lots of great mom songs out there, and also lots of great songs about women in general. Many of our most requested songs are all about a girl! We love to sing “Brown Eyed Girl,” and at the end of the song we always give a shout out to the blue eyed, green, eyed, hazel eyed girls. Even the girls with pink eye feel special! What’s your mom’s name? I’m sure we can swap it in for the name in any of these songs and make it all about her! We love our moms at Felix and Fingers, and we love the chance to make Mother’s Day special for everyone! We loved being able to put on a specifically Mother’s Day show, but we can do the same for any holiday! If you are celebrating Arbor Day, Pi Day, or Throwback Thursday, we’d love to help make the day special for everyone! Contact us today, and we’ll put together a quote for you!